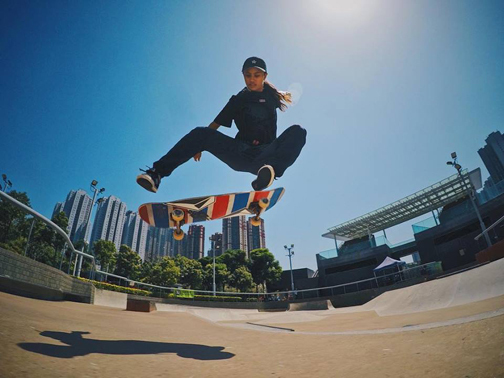 Margielyn Didal goes airborne as she tries new tricks on her skateboard. Go For Gold is looking to discover new skateboarding talent like Didal. The National SEA Games qualifier is scheduled Aug. 24-25 in Sta. Rosa, Laguna after the most promising skaters from the south take center stage in the Mindanao leg on May 25-26 in General Santos City.